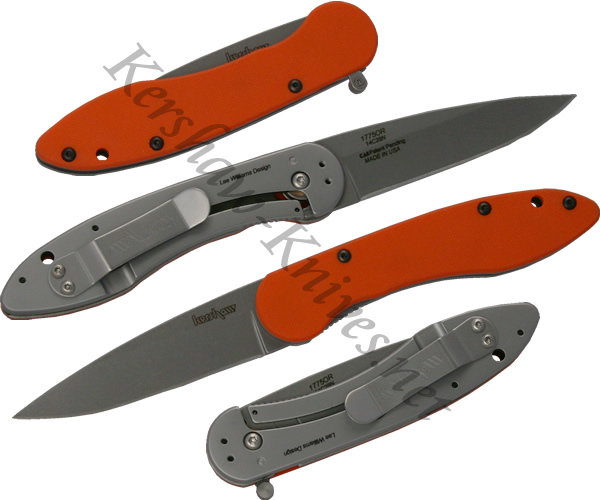 This orange version of the Kershaw OD-1 boasts an orange G-10 overlay on one side of the handle. The other side of the handle is 410 stainless steel, thus giving the knife a unique look and feel. The blade is made of Sandvik 14C28N stainless steel for durability and precision. The OD-1 knife can be smoothly opened with either hand using your index finger on the flipper on the spine. Sweep the flipper and the razor sharp blade comes out in a hurry. The blade is then locked into place with the frame lock on the stainless side of the handle.